This entry was posted in Masha'ikh and tagged Hadith, Mujaddid, Sillah. Bookmark the permalink. Salam alikum. I m also from Imam Rabbani,s lineage, but I dont wanna mention my name, my comment to Wahid,s saying is please dont compare a political Leader to Mujadid Alf e Sani a great spritual figure of 2 Millania,s. And for your information Hazrat Sibghatullah Mojaddidi is not HIS great grand son, but comes at 11th or 12th of Imam Rabbani,s progeny. For your timely correction and negation of exaggeration, May God bless abcdef from the many blessings He has bestowed on Sheikh Ahmed Sirhindi . One big question to all Sirhindis i.e., from the noble family of Sheikh Ahmed Sirhindi . Dear Syed, Me and my family r very lucky we have made bayat on the hand of Hazrat sb’s spouse. Hazrat Ibrahim Jan Sarhandi in Pakistan. we all muslims are proud that aulia like sheikh Ahmed Sirhindi r.a. has come in 11 century. we all thank ALLAH that he sent IMAM-E RABBANI in india and we are the followers of tariqa of IMAM-E RABBANI MUJADDID ALF-E SANI R.A. In yesterday’s DD Urdu program Ser hind E Aulia we were blessed and fortunate to see the shrine of the Great Immam Rabbani. We would love to visit the shrine very soon. Can some one please guide me I am from Chennai , Tamil Nadu? 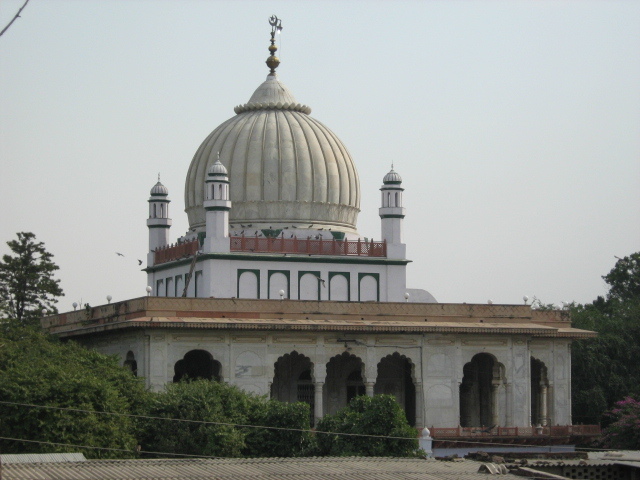 Good to know that you want to visit the shrine of Hazrat Shaykh Ahmed Mujaddid Alif e sani , which is known as Rauza Sharif Sirhind. Asalam o alikum…thanks. Syed masoom.please context me at……..
Hazaroun saal nargis apni be-noori pe roti ha. Badi mushkil se hota ha chaman main de-da-war paida. i am from bangladesh. I want to know how shall i go to sharhind from kolkata. I belong to Mujaddid family and we descendants of Hazrat Khwaja Muhammad Masoom RA. We live in Pakistan, Province Khyber Pakhtoonkhwa and the district called Malakand. Our place is known “Hazrat Khel”, named after our elders used to reside here. We have 4 khaniqahs right now; ie Khanaqah Garhi Hazrat khel Village Thana Malakand Distt KPk, Khanaqah Peshawar (Roza of Hazrat Jee Sahib Peshawari), Khanaqah Bannu KPK and Khanaqah South Wazirstan. Our grandfather Hazrat Fazal Ahad’s Khanaqah is in Khoqand Tajikistan. To all those who are real Mujaddids, may contact me through email or mobile. May Allah bless all our great scholars and those who follows right path.